Google Drawings is a great resources to create and share your poster. To add a QR CODE to your poster - upload your PSA/commercial video to your Google Drive, create a shareable link [Anyone with link can VIEW] - copy and paste that URL link into any preferred QR Code Generator site, download the QR code and import the image onto your poster, then print. Recommended poster size is LEGAL [14x8.5] - it is easy to print on any school computer. RESEARCH RESOURCESThere is a lot of research and writing involved in preparing for the MUN Conference. Here is a list of resource links that will help you prepare. Background Resources: This is some of the information I give my students before starting the Environmental Entrepreneurship Project. 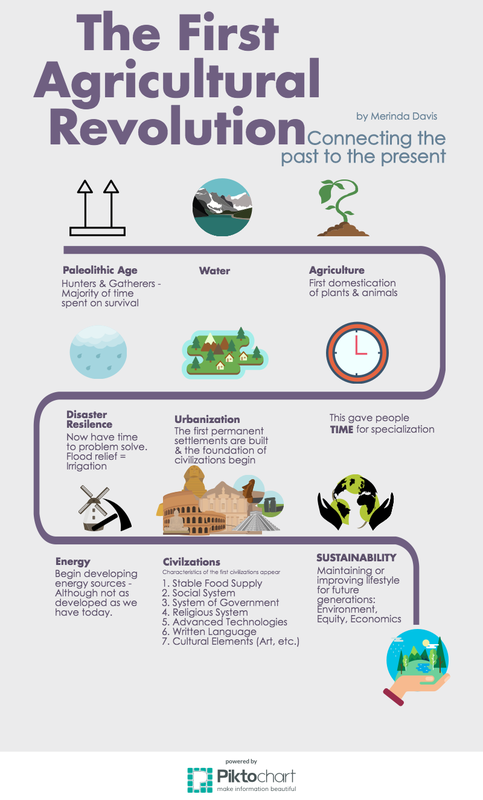 Connect the past to the present (today to the first civilizations through sustainability).